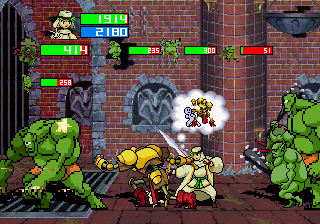 Treasure's Saturn brawler-RPG is coming to Xbox Live Arcade with both graphical and gameplay upgrades. The Saturn didn't take off as Sega had hoped, but many rare videogame gems still appeared on the console during its lifecycle. 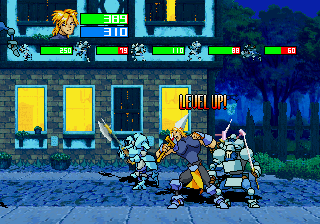 One of these was Sega's Guardian Heroes, an action-RPG brawler developed by Treasure released in 1996. As of today, we can stop cursing Guardian Heroes' high eBay price because Sega has announced an upgraded version in development for Xbox Live Arcade. Any Saturn gem being made accessible beyond having to purchase the original hardware is cause for celebration, but Guardian Heroes is also a great game. It features 5 playable character types, each with their own personalities and move sets. Samuel is your average sword-wielding tank, Randy is a physically weak mage, Ginjirou is a martial arts expert, Nicole wields defensive magic, and Serena is a balance of knight and magic-user. The game's levels play out on three different planes that players move between. As you fight enemies, creating combos by attacking with magic, weak attacks, strong attacks, and special moves, you'll acquire experience points that can be used to raise statistics such as strength or magic points. Story-wise, Guardian Heroes features five different endings depending on the choices players make through its branching level paths. 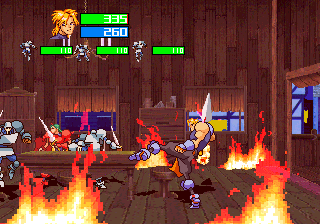 The XBLA version of Guardian Heroes will feature all-new HD graphics, online co-op through story mode with two players, a 12-player versus mode, time-attack mode, arcade mode, and arrange mode. 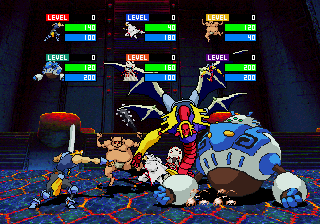 The versus mode from the original game is pretty neat, allowing players to unlock around 45 combatants and monsters from the story mode and take each other on. 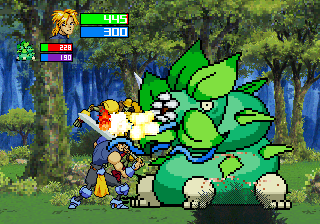 Guardian Heroes will be available on XBLA in fall 2011. Let's all buy it so that Sega will follow Guardian Heroes up with XBLA ports of other Saturn titles like Panzer Dragoon Saga and Shining Force III, kay?